"Presented in an original and circular binding, 'The Order of Things,' is a collection of new and unseen work from photographer Norbert Schoerner...Incorporating images from Japan and London, alongside a series of portraits and personal photographic stories, it is a book that transforms itself into a surrealist style game without beginning or end. 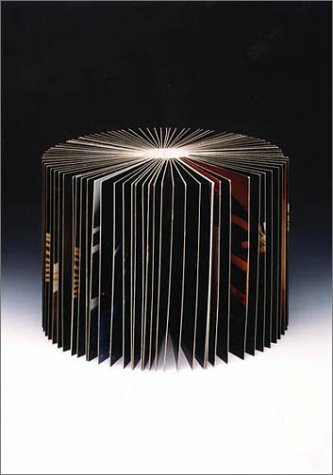 The book is bound so that the pages fan out into a circle, creating a continuous flow of images. Throughout, stories and images fold into one another to form a bizarre narrative and kaleidoscopic journey that defines Schoerner's photographic style. "-the publisher.